T-50 Stealth Fighter- The Russian Raptor? 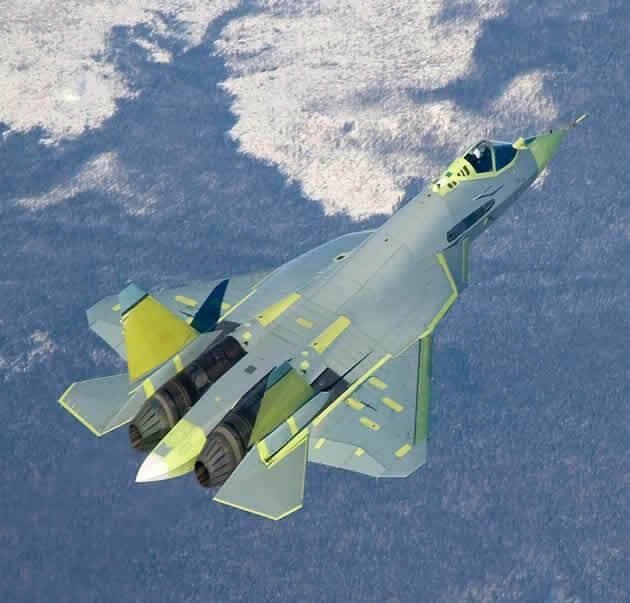 - Strike Fighter Consulting Inc.
T-50 Stealth Fighter- The Russian Raptor? On the 17th of January the Russian fifth-generation Sukhoi T-50 stealth fighter conducted its first independent long range flight. The flight consisted of three legs with stops in Abakan, Chelyabinsk and a final landing in Moscow where the aircraft will continue flight testing at the Y.A. Gagrin aviation plant. The flight marked the first time the T-50 stealth fighter had completed a long flight without the assistance of a chase aircraft and the aircraft encountered no problems. The T-50 is the first attempt at a fifth-generation stealth fighter by the Russians and officially enters Sukhoi into the world of stealth design. Borrowing from American designs of the F-22 Raptor, the T-50 has the same basic shape and the same curved radar evading design of the successful Raptor. The Raptor formally entered service with the U.S. Air Force in 2005 and the final F-22 rolled off the line in December of 2011 buy antibiotics online overnight with a total of 195 being built. Long regarded as the first of its kind and favored by fighter pilots, it is now officially no longer the only stealth fighter in the world. Both the Russian T-50 and just recently, the Chinese J-21 and J-30 aircraft are now rivals in the world of stealth fighter design. The T-50 has the shapes and curves that are trademarks of a design focused on stealth but it also features an active electronically scanned array radar, super-cruise capability, and high maneuverability, all of which are features of the F-22 Raptor as well. Sukhoi contends the aircraft will perform significantly better than the F-22 Raptor but given that the Raptor has been operational for nearly a decade, only time will tell if the T-50’s development and performance lives up to the boast from the Russians. » Live Virtual Constructive (LVC) – The Future of Military Training?